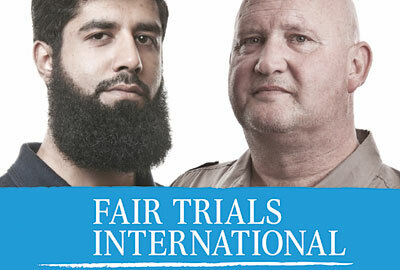 Fair Trials International is a human rights charity that helps to protect the entitlement of people all over the world to a fair trial. The charity's annual review is an A5 booklet design. The report is sent to lawyers who support the charity as well as clients, journalists and funders. In total, 2,300 copies were sent this year to people in 79 countries. This year's report features interviews with two of the charity's clients and more case studies than in previous years, adding a human element to the charity's legal campaign activities. The review also features analysis of its strategic goals and its campaign activities over the year. A bright blue theme runs throughout the booklet, giving it a fresh and interesting look. A good balance of pictures and text, with plenty of white space, means that the reader is not overwhelmed with lots of text and there is plenty of information. This year's design changed very little from last year's review, which meant the charity saved on concept costs. The review contains engaging human stories and photographs of people the charity has helped, to show the impact of its work. It also highlights key statistics in bold type and in charts and graphs, to help the reader understand the bigger picture. "We are delighted with the review, which gives a clear and engaging snapshot of the charity's work over the past year. In particular, it conveys the human side of our work with the people we are helping in prisons all over the world, while also showing the broader impact and focus of our campaigns."